Arsenal are being linked with a double raid on PSG for Marco Verratti and Ezequiel Lavezzi. The Gunners have been heavily linked with a summer move for the 22-year-old Italian who admits he could be lured away from Paris Saint-Germain if the right scenario emerged. “You never know what the future brings,” he told Goal.com. “I am fine where I am now and I am not thinking about a transfer. “I will consider my options the day I no longer feel good at PSG or when the club wants to sell me but England, Spain and Italy are all options. Premier League giants Arsenal and Manchester United are also said to be keeping tabs on the Italian international star. The Daily Express claims that Lavezzi is out-of-favour in the French capital and has reportedly been offered to the Gunners, along with Tottenham and West Ham. 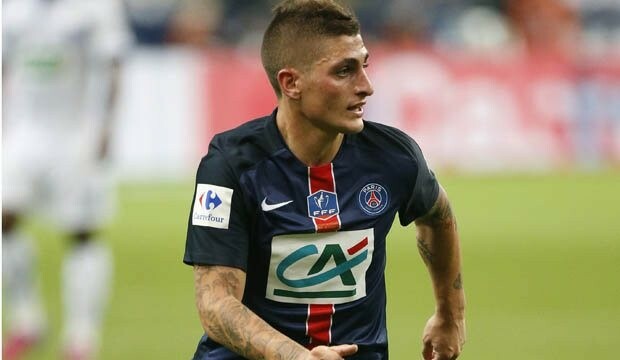 Verratti is of interest for Arsenal after stating that he would like to possibly play in a different league and some point in his career. Arsene Wenger could move for the midfielder at some point in the next year, as they look to bolster their squad after an unconvincing start to the season.